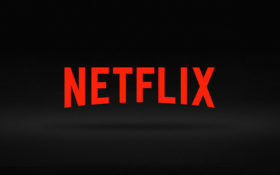 Netflix announces you can download and stream anything you’d like so you can view on the go not having to use wifi. This app is no stranger to the internet entertainment world and has gained much popularity over the years. Almost everyone uses it to stream their favorite TV shows, movies and even Netflix originals that can only be watched if one has a Netflix account. Binge watching over weekends when you have nothing else to do, while eating popcorn and ice cream in your bed seems to be today’s way of “chillin” to many adolescents. If you didn’t think Netflix could get any better, well it did. Whether you are in “airplane mode, road trip mode, stuck-in-the-subway-for-20-minutes mode. You’re favorite stories are now available for download anytime.” stated Netflix’s official twitter. Now people can watch whatever they’d like with no internet needed, so if you get lost in the middle of no where and don’t have any way to call for help because you’re signal is horrible, at least you can watch Netflix until someone else goes by to help you out. If you take three different metros to get home you can watch Netflix to keep you entertained. This will definitely be a new favorite feature for many people including myself, just remember to download before you officially have no signal otherwise you’ll be stuck with a long, boring time wherever you’re headed off to.